The LED produces a very bright light that enhances the aspheric, anti-reflective coated lenses to produce crystal clear images. 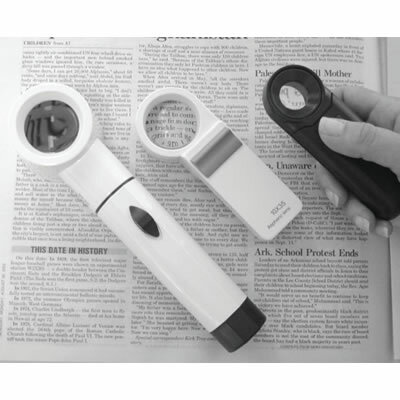 In addition, LED technology allows the batteries to last up to 50% longer than conventional lighted magnifiers. All magnifiers come with a drawstring case.